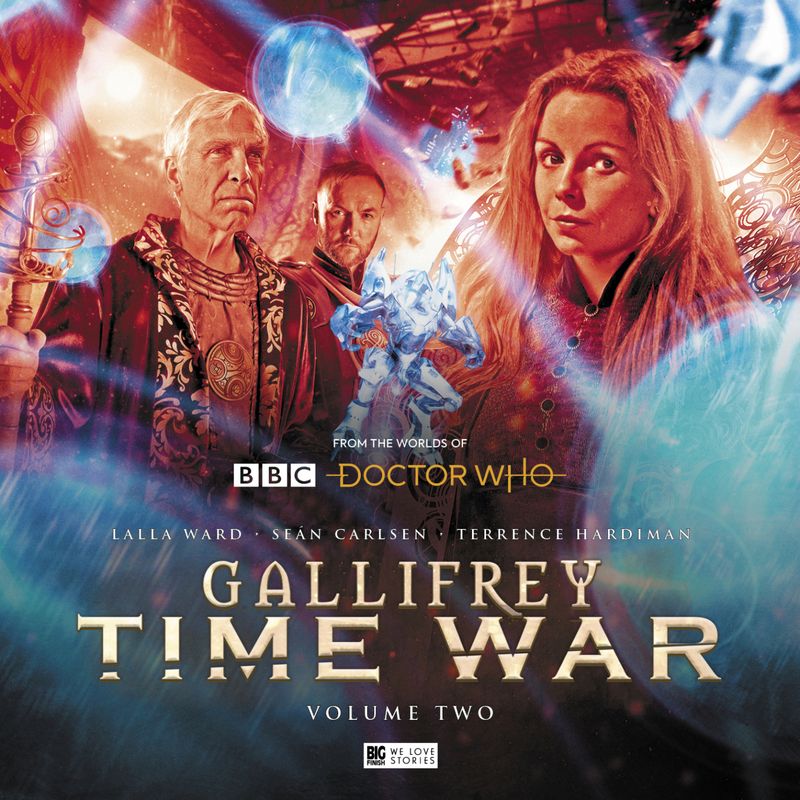 Romana II (Lalla Ward) with the help of Narvin (Seán Carlson) and a few for others, whilst fighting the Daleks must also continue to fight for the soul of Gallifrey. Not made easier by newly resurrected Rassilon (Terrence Hardiman) and his harsh new order. The stories in this set are Havoc by David Llewellyn, Partisans by Una McCormack, Collateral by Lisa McMullin, Assassins by Matt Fitton. Usually I would give a break down of the stories in a boxset individually, but this set feels more like a running story punctuated by different story lines. Each writer does bring in some new aspect but it’s totally a cohesive piece of work. The parallels to our modern news and current events are what really hit me. The response to bad deeds by others not leading us down a bad path seems very current. The plight of refugees, the panic whipped up to get new laws past… if almost everything in this set doesn’t ring a bell for you, you may not be following current events in the U.K. or throughout the world. But is this just a “too worthy” lecture about sci fi mirroring recent events? Far from it. As well as being a lens through which to see our own world, it is also really great story telling. The tension between Rassilon and his new world order lackeys and Romana and what becomes the resistance is palpable and questions between following orders when fighting for your people and using your own judgement to keep what it is to be part of that people is well asked here. People “following orders” of course having some not so nice echoes from history. We also see here the first really deep signs of Gallifrey becoming a people the rest of the universe might see as, as bad as the Daleks and what they did to earn that reputation we see them have in “Night of the Doctor” where a would be companion would rather die than trust a Timelord. This all might be a bit general sounding but I think these stories are particularly at their best when heard spoiler free. Go in fresh and enjoy the journey these wonderful writers and director Scott Handcock have crafted for you and try to believe “but it couldn’t happen here”. 10/10.